This stock was split out of the larger CP conglomerate, the rails , hotels and shipping group started their own lives in 2001. Consequently there is no chart preceding that time for the individual components. Here is what we have. 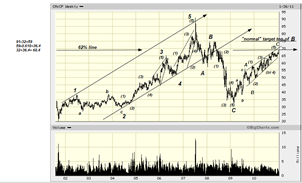 On the left, a model, text-book EW, clear as a bell and consequently more “predictive”. This is an EWaver’s dream come true. We have an initial 5 wave sequence up into the top during which the stock roughly goes from $20 to $90, a bull market by most accounts. Then the stock gets decimated in a clear A-B-C, losing 2/3 of its value. 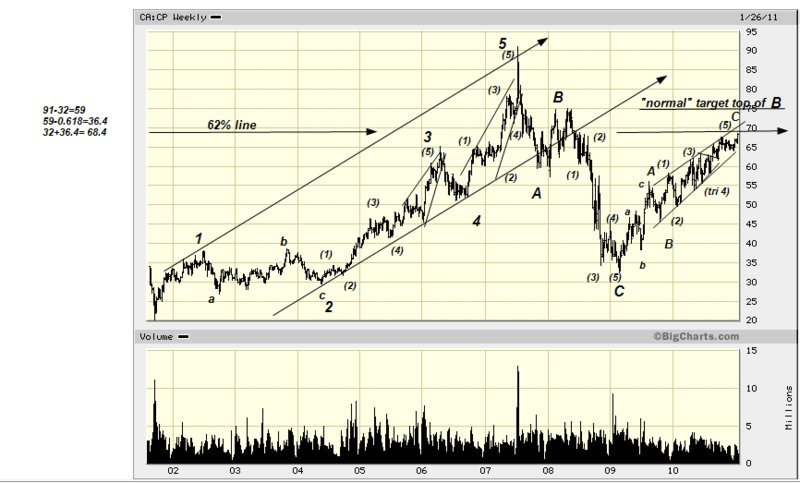 Then comes the correction of that drop and so far we may have all of it or only half. 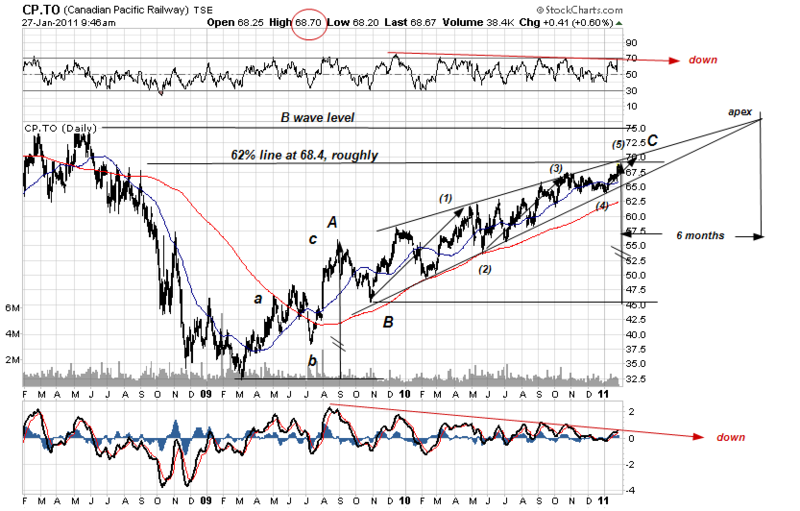 One would expect 62% for starters and perhaps to the B wave level , $6 higher. Given the very clear wedge, the equal vertical distance between C and A and the rolling over of both the RSI and MACD this should be good enough. One could wait another 6 months and hope the stock reaches $75, and, of course, it is always possible that this analysis is wrong (we may, for instance, be at the start of a new bull market and we are looking at a series of 1-2s that will soon explode to the upside). Perhaps, but not likely.